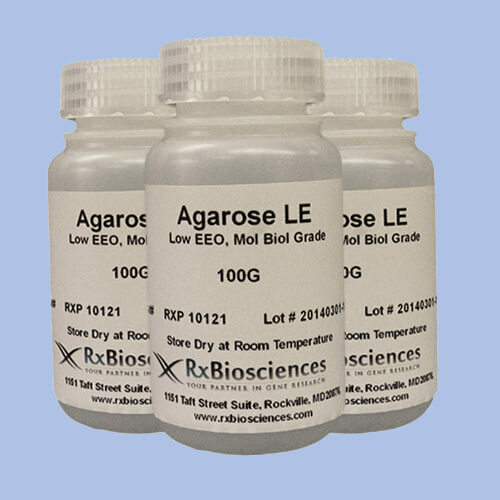 Rx Biosciences Molecular Biology Grade Agarose is highly purified agarose with very low EEO values certified by strict quality control test procedures. 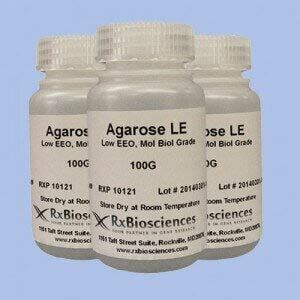 It provides optimal concentration between 0.5 to 4% in all typical buffer systems. 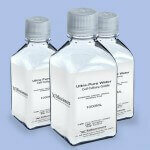 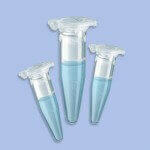 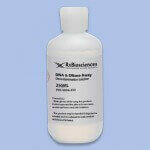 It is highly suitable for resolving RNA, DNA and small nucleotides.